William Tidd was born in Lexington on July 11,1736 to Daniel Tidd and Hephzibah Reed. William was one of 10 children. His father Daniel was Ensign Daniel Tidd and served in the French and Indian War. Daniel’s Father and William’s Grand Father, John Tidd, was born in England and immigrated to America in 1637. He settled originally in Woburn and in 1686 moved to Cambridge Farms. John was one of the proprietors of Cambridge Farms and as such was given a substantial land grant, plus he then bought up even more property. William’s tittle as Lieutenant in Captain Parker’s Company appears to stem not from his ability as a military man, but more from his role as a leader in the community and for his standing as a person of substantial means. Not only did he come from means, but also his wife’s family was quite well healed. William was selectman in Lexington in April 1775 and served in that capacity in 1776 – 78 – 79 – 80 – 83 – 87 – 88. He was also Assessor in 1776,79, 80, and 91. In 1775 at the time of the Revolution William was one of only 5 people in Lexington who held a slave. In 1775 the Tidd homestead was in a field near Revere Street. At the time of the start of the Revolution William Tidd tried to believe himself a loyal subject of King George. After the Revolution, which commenced on that April morning he cancelled his allegiance. Based on the rules and regulations of the Lexington Company of 1775, William Tidd could only hold his position as Lieutenant for one year, which he did. William’s daughter married Nathan Chandler in 1785, and she died on September 17, 1846. William Tidd died in 1826 just two years after he gave his deposition as to what took place on the Green. Just a year before his death, 1825, he sold his property to his daughter’s husband Nathan Chandler for $3,000.00. The property at that time was composed of 75 acres. A small portion of the land originally owned by his Grand Father. William’s holdings, in the deed, were described as being on Town Road bordered by the Fisk Farm and the property of Amos Lock. They were the house lot 10 acres, the Barn lot 9 acres, the other place 27 acres, the farm meadow 7 acres, the wood lot 14 acres, Hadley Meadows 3 acres, Burlington Meadows 5 acres, plus half a pew in the Lexington Meeting House. Most of you know Lieutenant Tidd as the person who stepped forward during the re-enactment to says to the Captain of the regulars; “ You won’t get my gun.” This makes for a great show, but William in his deposition never mentions saying this. In the book What Happened on Lexington Green, Carl Becker a noted American historian writes in his paper What Are Historical Facts “What then is the historical fact? Far be it from me to define so illusive and intangible a thing! But provisionally I will say this: the historian may be interested in anything that has to do with the life of man in the past any act or event, any emotion which men have expressed, any idea, true or false, which they have entertained. Very well, the historian is interested in some event of this sort. Yet he cannot deal directly with the event itself, since the event itself has disappeared. What he can deal with is a statement about the event. He deals in short not with the event, but with a statement, which affirms the fact that, the event occurred. When we really get down to the hard facts, what the historian is always dealing with is an affirmation - an affirmation of the fact that something is true. There is thus a distinction of capital importance to be made: the distinction between the ephemeral event, which disappears, and the affirmation about the event, which persists. For all practical purposes it is this affirmation about the event that constitutes for us the historical fact. If so the historical fact is not the past event, but a symbol that enables us to recreate it imaginatively. Of a symbol it is hardly worthwhile to say that it is cold or hard. It is dangerous to say even that it is true or false. The safest thing to say about a symbol is that it is more or less appropriate. This is clear when we read the depositions and accounts of The Battle on Lexington Green taken some 50 years after the battle 1824 to 1827, particularly William Tidd’s deposition given on December 29, 1824. I, William Tidd, of Lexington, in the county of Middlesex, do testify and declare, that I was a Lieutenant in the company of Lexington militia, commanded by Capt. John Parker, in the year 1775; that, previous to the 19th of April of that year, it was expected the British would soon commence hostilities upon the then Provincials; that said company frequently met for exercise, the better to be prepared for defense; that, on the evening previous to the 19th a number of the militia met at my house for the above purpose; that, about two o'clock on the morning of the 19th, I was notified that, the evening previous, several of the British officers had been discovered riding up and down the road leading to Concord; that they had detained and insulted the passing inhabitants; and that a body of the regulars were then on the march from Boston towards Lexington; -- I then immediately repaired to the parade ground of said company, where, after its assemblage and roll call, we were dismissed by Capt. Parker, with orders to assemble at the beat of the drum; -- that, at about five o’clock of said morning, intelligence was received that the British were within a short distance; and, on the beat to arms, I immediately repaired to where our company were fast assembling; that when about sixty or seventy of them had taken post, the British had arrived within sight, and were advancing on a quick march towards us, when I distinctly heard one of their officers say, “Lay down your arms and disperse, ye rebels!” They then fired upon us. I then retreated up the north road, and was pursued about thirty rods by an officer on horseback (supposed to be Maj. Pitcairn.) calling out to me, “Damn you, stop, or you are a dead man!” – I found I could not escape him, unless I left the road. Therefore I sprang over a pair of bars, made a stand and discharged my gun at him; upon which he immediately turned to the main body, which shortly after took up their march for Concord. William Tidd. We fondly Cherish the names of the men who where slain on Lexington Green in the early morning of April 19,1775. Let us also remember the names of the eight men who fired back, and in doing so changed a massacre into the first battle; and so gave Lexington a place in world history. When we stand on the hallowed ground of the Lexington Green, let the world stand with us, not to look upon a field where martyrs were slain, but to look upon the battleground where our soldier heroes dared to fight – and dared to die. William died on December 25, 1825 at the age of 91 and is buried next to his wife Ruth in the old burial ground in Lexington. I recently visited the site. Today businessmen, philosophers, and historians try to find and define what they call a tipping point. A tipping point is a particular point, philosophy, or action that creates an imbalance. The one thing that takes place to move a business, a life, an activity, or an entity from a position of flux or balance to a position of imbalance, causing it to move rapidly forward gaining momentum as it goes. I believe, very early in the morning of April 19, 1775 there was a point of balance as the Regulars and Captain Parker’s Company faced each other on Lexington Green. At that point a young 38-year-old Lieutenant in Captain Parker’s Company named William Tidd caused a tipping point to occur. He stepped forward from his position in line, and facing a sea of redcoats, he raised his musket, exclaiming loud and clear, what was in a way the philosophy of a whole society, when he said, “YOU WON’T GET MY GUN”. Tracing the Past in Lexington, Massachusetts, Edwin B. Worthen. History of the Town of Lexington by Charles Hudson, Vol. II. Kehoe’s ‘We Were There”, April 19, 1775. The Battle on Lexington Common April 19,1775 by Frank Warren Coburn. 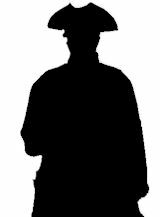 I have been a member of the Lexington Minute Men for eleven years and in that time I have portrayed two very interesting men who served in Captain Parker’s Company. My first charge was the portrayal of Steven Munroe, and for the past three years I have been given the person of Lieutenant William Tidd.